West Kirby-based finance specialist, Bathgate Business Finance, has marked its expansion into Cheshire with a strategic new senior appointment. The company has welcomed Chris McLoughlin as business relationship manager for Cheshire, South Manchester and North Staffordshire. 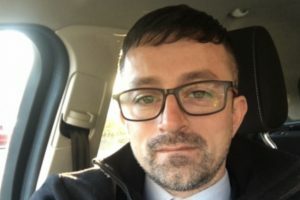 He joins Bathgate Business Finance from Wesleyan Bank, where he spent more than eight years working with businesses to source funding solutions across a range of sectors. The strategic appointment of Cheshire-based Chris positions Bathgate Business Finance firmly in the area it is looking to expand into in 2019. 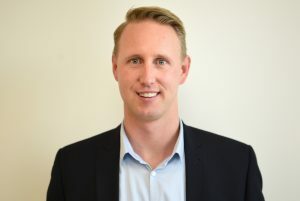 Specialising in brokering funding solutions for any trading businesses, from short-term loans to asset finance, Chris brings with him 12 years’ experience in the industry, having also held positions roles at Barclays and Assurant. Chris said: “I am really excited to bring my local expertise and knowledge of the VAT and Corporation Tax funding market to the close-knit Bathgate Business Finance team. The appointment comes at the end of a successful year for the Wirral-based finance specialist, which has seen an increase in turnover and the company’s staff and client base grow. In November, managing director Gordon Andrews was also appointed to the Professional Liverpool board of directors, further enhancing the company’s growing reputation in the Liverpool City Region. Gordon said: “Chris’ appointment has been a strategic decision for the company. His expertise and experience, combined with his location, ambition and positive outlook, will be pivotal to our growth in Cheshire, South Manchester and North Staffordshire. 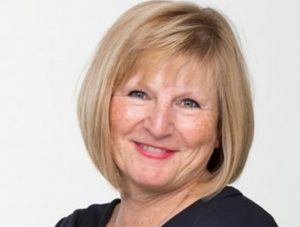 Business leader Carole Carson has joined the board of Progress to Excellence as the Birkenhead-based national training provider moves forward with its ambitious growth plans. Carole, with more than 20 years’ experience at director and senior management level in both the private and public sector, was most recently chief executive of Babington, a provider of professional training courses, apprenticeships and traineeships, where she was instrumental in growing the revenue of the business by more than £20m. She also led Babington’s growth via diversification of contracts, from delivering apprenticeships through to developing new divisions of employability and commercial, while at the same time delivering quality. Her own professional focus now centres on operating as a non-executive director supporting businesses to drive their strategic vision and support growth. Prior to joining Babington, Carole, who started her career at BT, was operations director for the Shaw Trust. Before that, she was director of employability at In Training, a national provider of apprenticeships and work-based training. She has also been recognised by Ofsted (ALI) as a quality champion. Damian Burdin, chief executive at Progress to Excellence, said: “Carole’s reputation in the professional training sector is as a motivational leader who is proficient in delivery management. She has gained recognition throughout her career for her skills in building and developing excellent relationships and partnerships. 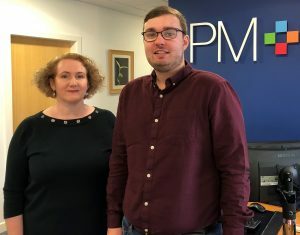 PM+M, the chartered accountancy, business advisory and wealth management group, has further strengthened its tax team with the appointment of Jon Connor who has joined as a research and development tax credits manager. Jon’s new role will see him working with the firm’s broad range of clients to ensure they are both taking advantage of the available relief and maximising their claims. Research and Development (R&D) Tax Credits is a UK tax incentive designed to encourage companies to invest in R&D. Companies can reduce their tax bill or claim payable cash credits as a proportion of their R&D expenditure. Jon joins PM+M from R&D Tax Solutions. He has also worked at Cowgill Holloway and NIS. Jane Parry, managing partner at PM+M, said: “The increasing complexity around R&D tax credits means Jon’s appointment is crucial to the development of our specialist service in this area. Liverpool-based Palace Chemicals has appointed a new area sales manager who is looking forward to working with the company to achieve its ambitious 2020 growth targets. Lee Akram is the company’s new area sales manager for South Wales and the South West of England. For the 38-year-old, it’s an opportunity to get help spearhead growth for the tile adhesive and building product manufacturer in the South Wales and South West areas. Lee, who is originally from Wolverhampton but lives in Cardiff, has more than seven years’ sales experience, working within the industry. Architecture practice Firth Architects has relocated to new office space at Jubilee House in Lytham to facilitate its plans for expansion, which coincides with the appointment of project manager, Rob Haynes. With more than 10 years’ industry experience, Rob joins from Manchester-based Bruntwood Estates where he held the position of senior building surveyor and project manager. A qualified chartered building surveyor, he will be responsible for the delivery of projects from inception to completion, including monitoring costs and site progress while acting as the main client liaison. Firth Architects was established in 2003 in Manchester before making the move to Lytham 14 years ago. The RIBA and ARB-registered Fylde Coast practice has a wealth of experience, having been involved in the delivery of a range of residential and commercial schemes, including office, retail and leisure projects, across the North West. Director Joel Firth said: “We are a small but dynamic practice, and Jubilee House provides us with the flexibility to cater for a larger team as we look to expand, in addition to a well-rounded culture and wellbeing offering for our employees. “Being situated on the edge of Lytham Green on the stunning coastline is the perfect spot for us.